Outlook Download Multiple Emails To Text Files Software can save Outlook emails as text files. Simply import emails from Outlook and select which messages to convert. You can save multiple emails to multiple text files or to one text file. This software can save you minutes each time you consolidate your messages. 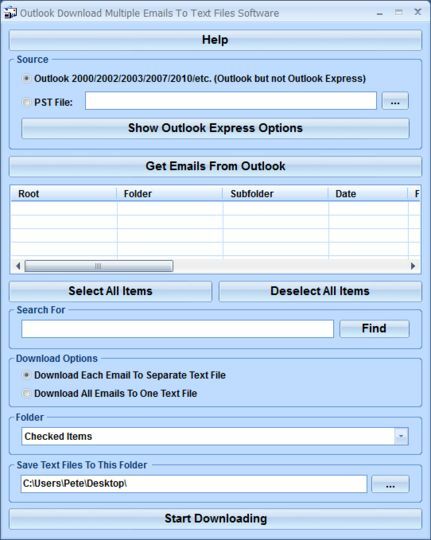 Outlook 2000/Outlook Express 5.0 or higher required.